CourtWatcher: A Black Hole in the Court System? Early in my courtwatching career I recall an Assistant State Attorney admitting in open court that sometimes cases fall into a "black hole" in their office. I periodically follow up with the State about cases that seem to be languishing. Whether or not my emails jog things loose is anybody's guess. However, among the several cases that appear to be forgotten, I found two defendants who have been in custody for several months. There are no upcoming dates noted in the Clerk's records either. 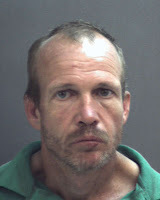 Defendant was arrested 8/9/09 for Aggravated Battery, False Imprisonment & Battery. Defendant is still in custody. Koenig was scheduled for trial 1/7/10. Jail records show there are no other holds. Hello. My name is Albert William Koenig. I am writing you in reference to case 2009-CF-011725 scheduled for pretrial on 12/3/09. I would like to request a change of my plea from not guilty to guilty. I am guilty of striking Ms. G and do not wish to tie-up your [sic] or the court's time with trying to avoid prosecution of a crime I committed. I fully understand that I can be sentenced to up to 20 years in prison and am fully prepared to accept any judgement you see fit. i do wish to express great remorse for my actions and wish to seek help with controlling my anger management. I hope you approve my request. Koenig subsequently withdrew his request in open court on 12/9/09. His case was docketed for 1/7/10, but there is no record of it having been called that day, nor of it having been rescheduled. 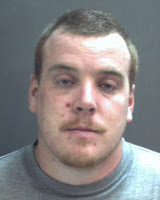 Ruhl was arrested 6/1/09 and has been in custody since then for Burglary of a Structure. Ruhl's trial date of 1/11/10 has come and gone with no disposition noted on the Clerk's site either. Jail records indicate there is a hold on him (source is undisclosed on their website). 2. The LAWYER assigned to represent me has refused to put together a case with reasonable diligence. 4. My point is, I request a outside law firm to represent me NOW. I do not have any degree of hope that the Office of the PUBLIC DEFENDER will give me the degree of representation the law states that my right as a Citizen of the United States deserve. 5. Honorable Judge LeBlanc, I need help for once NOT MORE JAIL! *A Nelson Hearing is conducted when a defendant alleges their attorney has not competently represented them. On 9/8/09, Mr. Ruhl waived his right to a speedy trial because the defense was not sufficiently prepared for trial. On 11/12/09, Mr. Ruhl rejected the State's plea offer. On 11/19/09, a joint motion for continuance (both Defense & State agreed) was granted. On 12/28/09, this motion for Nelson Hearing was recorded. Court records show no Nelson Hearing was scheduled or conducted. The case was set for trial 1/11/10 but never made it on the docket. No result is noted in court records. Mr. Ruhl obviously has an extensive criminal history. A check of the Department of Corrections website shows prison sentences dating back to 1986 in Franklin, Leon and Orange Counties. But does that mean his request for a Nelson Hearing should go unheeded? In the words of British Prime Minister William Gladstone (1809-1898), "Justice delayed, is justice denied." I think we can do better in both cases. I was the victim on the case with Albert Koenig and I thought I provide you with some information with what happened with the case. He did end up beeing sentenced for 51 weeks in jail , 18 months provation , a no contact order and 6 months of anger management classes but of course as his luck would have it he got out May 31 for "good behavior" which personaly I think it's completely unfair after what I had to live through with Mr. Koenig.Now he's living the good life in highland michigan not having a care in the world. Mr. Koenig did contact me a week after he was released from jail and I changed my number. I don't understand our judicial system. What are they waiting for some one to turn up dead for them to do anything about it?! Mr. Koenig attacked me over serveral months kept me hostage in an attic, chocked me, beated me pregnat to the point that I had to spend most of my pregnancy in the hospital and he didn't get any punishment for his cruel actions! I feel like I'm the one in prisoned because I still have nightmares on the horrid events that occured . People like him should have to pay for the pain and trauma he put me and my unborn child through. If he was such a bad person why did you contact him 5 months ago? Why don't you tell the WWW that it actually came out in court that you admitted that he never laid a harmful finger on you, and you filed false charges because he was unwilling to give you money and tried to end your relationship? I was in that court room and followed this case very closely. If the victim was lying then why did MR. Koenig write that confession letter to the judge admitting to all 3 charges? He stated he did in fact strike the victim and held her against her will while she was pregnant (which is a felony called kidnapping) He admitted to everything she accused him of . So from the looks of it shows you have no idea what you are talking about . And lastly if the victim had indeed admitted to open court like you wrote on here that she lied then the state would have dropped ALL charges instead of giving Mr. koenig the sentence they gave him. It is plain obvious he was guilty and whomever you are ( probably Mr. koenig himself) are making false comments just to try and defend yourself. You are a sad excuse for a human being. So from the looks to me it shows you have no idea what you are talking about . Why not get the transcripts of the final hearing where she admitted that she made it up? Also ask her why Mr. Koenig has to change his phone number every few months because she finds a way to get it and contacts him? I know him personally. I am not him sorry, I would have never allowed myself to be manipulated by someone as cunning and pathetic as the said victim. I also know why he wrote the letter, but another story another day. I do know that he is a great father and never puts a harmful hand on his wife. She got what she wanted and now she needs to leave him alone. Oh wait, he is guilty of the false imprisonment, but I can understand that being as he wouldn't let a pregnant woman out of a vehicle on the freeway. This is where you are incorrect in the information you claim to know about. I have reviewed the transcripts and nowhere is there anything on the victim claiming the accusations where false. And like I said before I was in the court room the ENTIRE time this case went on. I am in the law enforcement and I was there and in no time at all did the victim say that. And False imprisonment is NOT the only charge Mr. Koenig was convicted of . If the other charges were proven to be false the state of Florida would have dropped them. Whomever you are you may want to do your homework first before making false accusations that you apparently are not very informed of. If you had been there you would see how all the things you claim to know are false. The transcripts are public record so you are more than welcome to get them and see what really went on and get educated on them before you make any more absurd comments. The reason I know for a fact Mr. Koenig is not innocent is because not only was I in the courtroom through this entire case but I also was who arrested Mr. Koenig each and every time he harassed the victim. Sorry but you cannot win this argument as there is official concrete proof Mr. Koenig was guilty. I am able to speak on this now that I have retired. And another thing if you knew anything about the law you would know they do NOT give people time in jail for not letting a person out of the car while moving. You are obviously under educated and quiet ignorant in my opinion. So when I don't agree with you it's okay to insult my intelligence? Sure a good thing that you are retired then! Lets go back to after all was said and done and he "violated" she admitted that he didn't hit her. Refuse to let her out of the vehicle on the freeway, yep he sure did do that. She should stop trying to contact him though, since he "traumatized" her so much. Why not ask her why the same things were alleged and her father went to prison? I know that one... simply because she didn't get what she wanted from him either! At this point it's best for you to even stop commenting because you just sound ignorant. It is clear you keep trying to veer of the actual true facts here by adding lies. Either way Mr. Koenig should have been in poisoned for the crimes he committed and was just lucky in this case to have pretty much just got a slap on the hand. But not to worry because felons like Mr. Koenig will eventually get what they deserve.